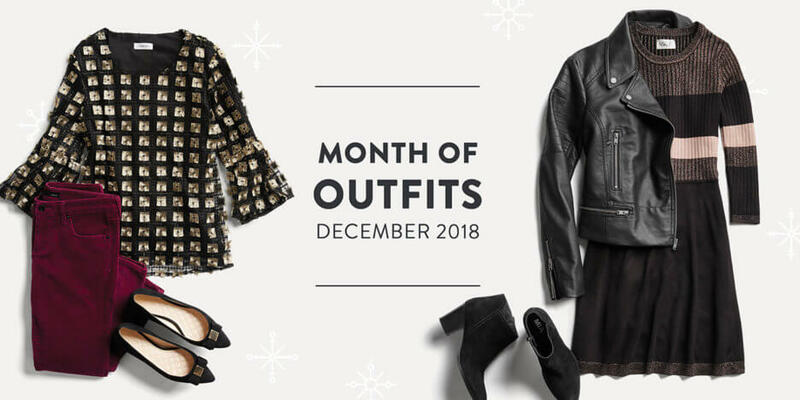 Tis’ the season to party with friends and loved ones near and far, but also brace yourself for the cold (and look dauntlessly fashionable while doing so). 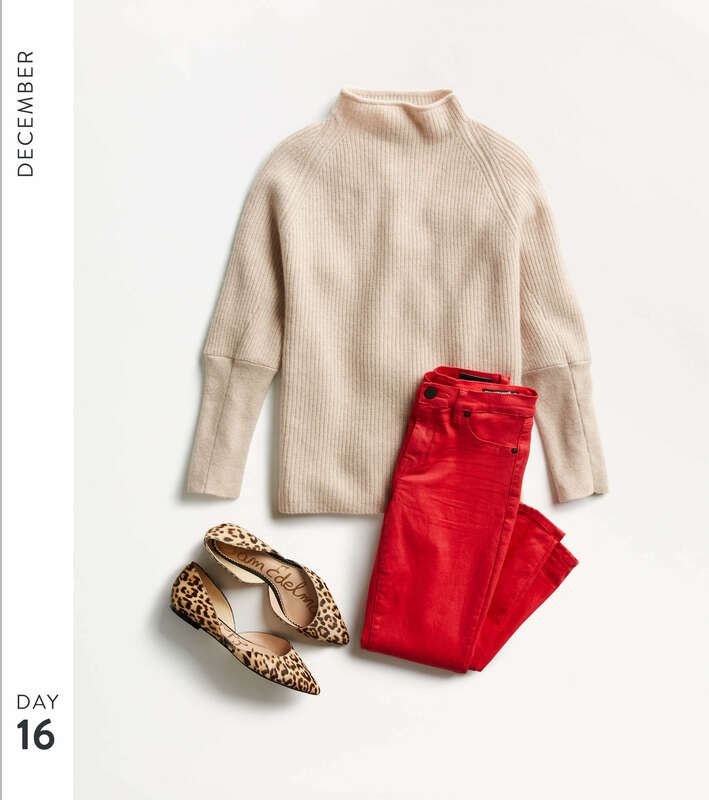 Keep reading, we’ve got looks to make all of your holiday style wishes come true. 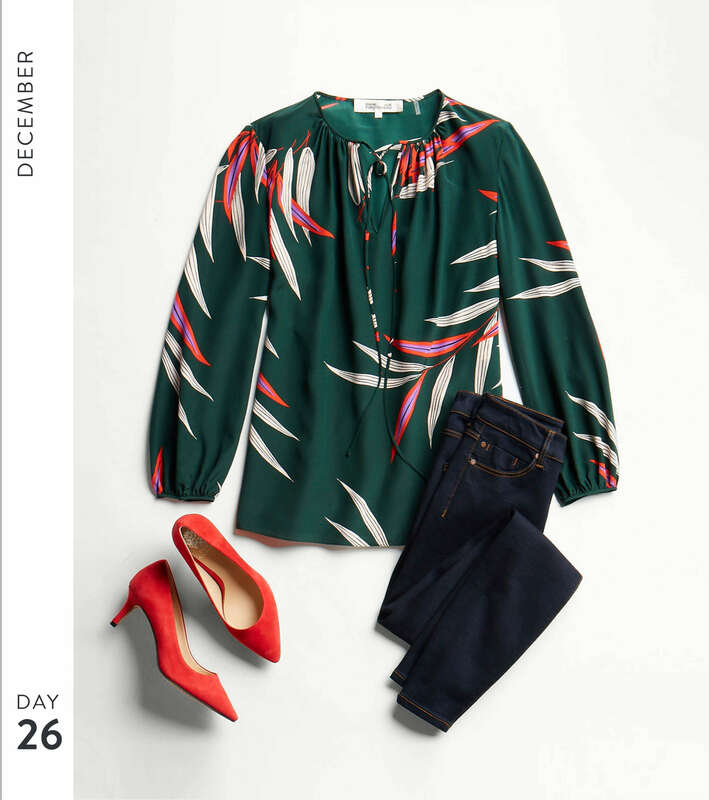 Keep reading for December styles to ask for this holiday season. Don’t let shorter days and longer, frigid nights get you down. 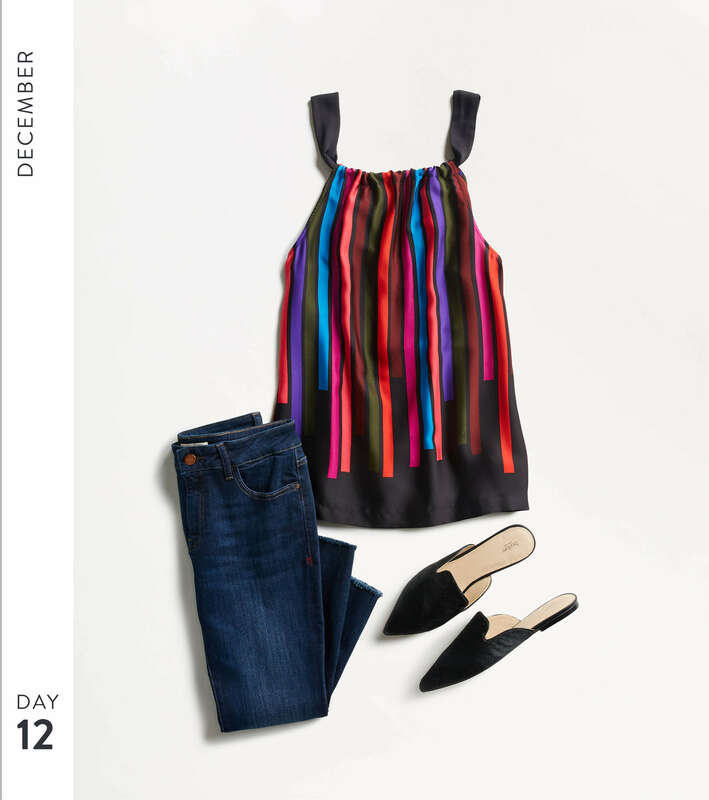 Try some color therapy to power up your mood and enliven your wardrobe. Jewel tones like sapphire blue, emerald green and ruby red are brilliant colors that will help you make a show-stopping entrance at all of your events this holiday season. Glow on, try something new! Does your to-do list have you stressed out and losing sleep? The bags you have should be of the chic variety (not under your eyes), which perfectly accentuate your holiday ensemble. A crossbody bag is not only sleek, but super compact and functional enough to free your hands to drag your luggage or scoop up your runaway toddler at the airport. Feeling chi-chi and have the night off for a change? Grab your favorite party dress and pair it with a jewel-colored or metallic clutch to finish the look. 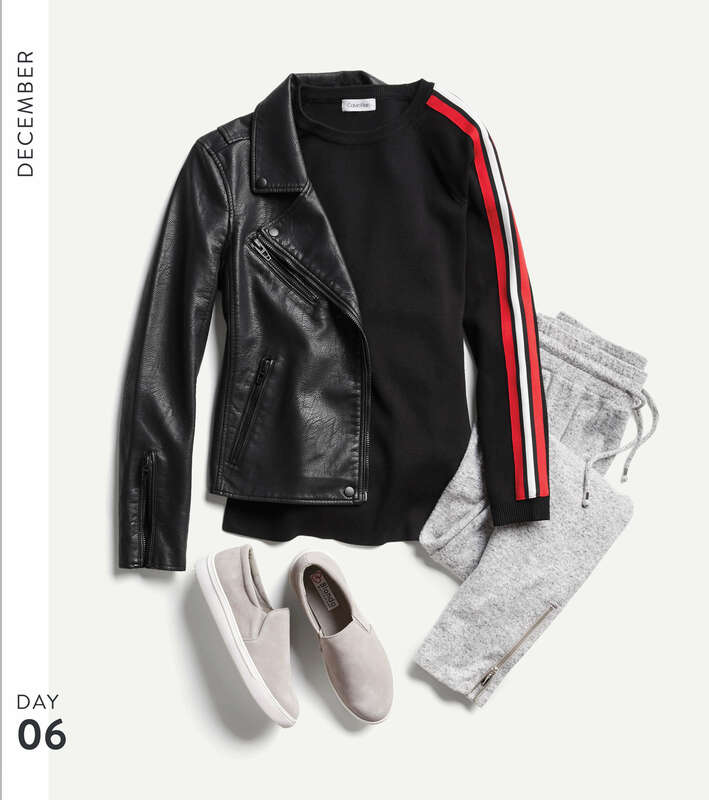 Whether you’re chillaxing at the ski lodge or running errands, athleisure is a whole style mood that’s all about free-movement and comfort. And, we’ve got all the right pieces to match your lifestyle needs. 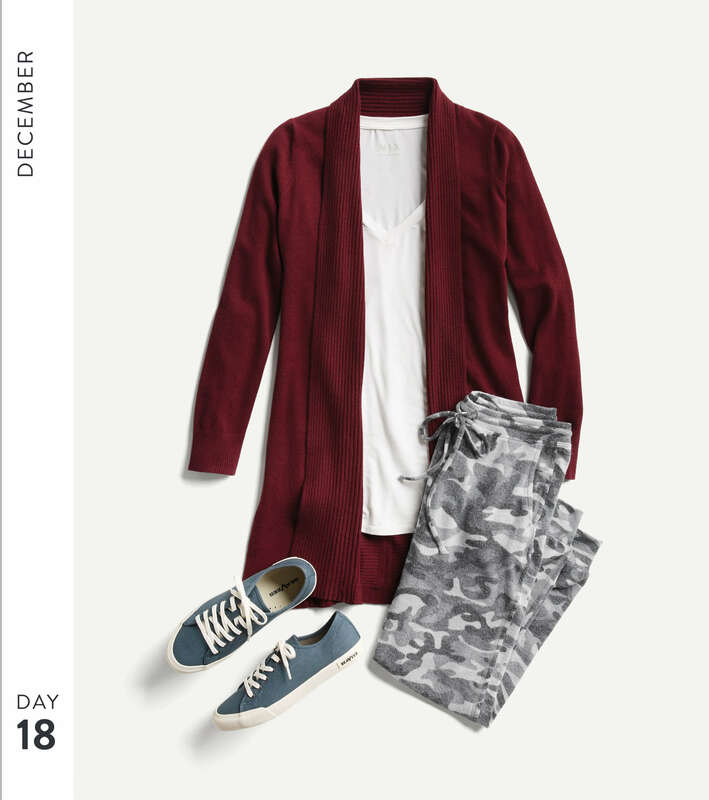 A chunky, oversized sweater with printed leggings is a winning combo like sugar and spice, with a fit that’s just right! Toss your hair in a bun—on-the-go style has never looked and felt so fabulously put together. 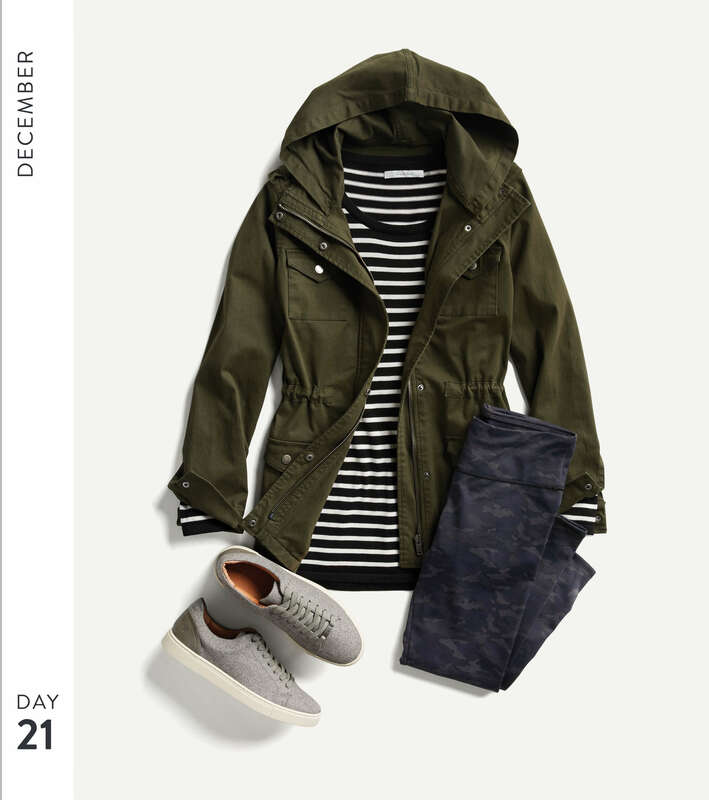 It’s beginning to feel a lot like winter, and we’ve got you covered all season long. 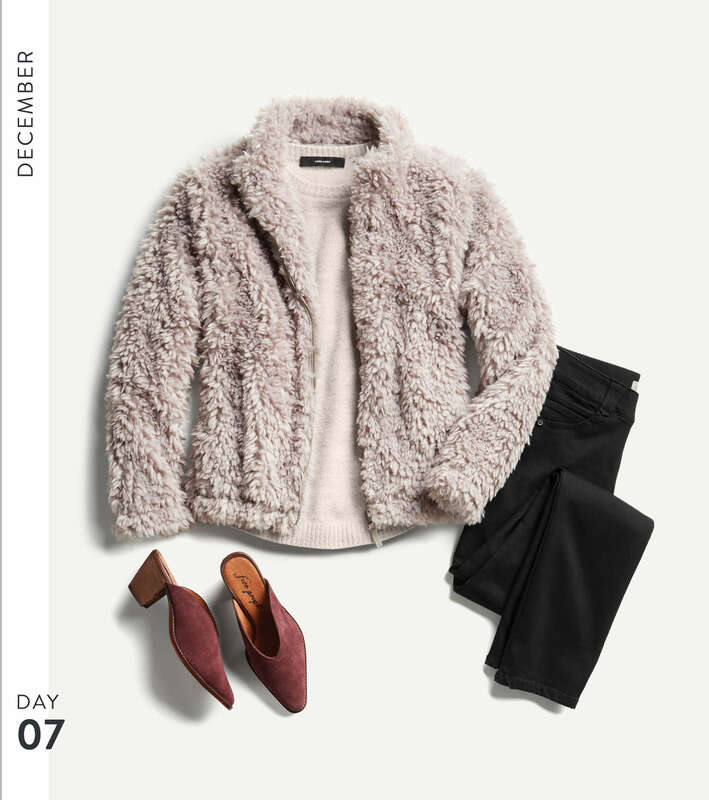 Slay in style with colorful puffer coats (or vests), well-structured peacoats and casual parkas that look super flattering and will keep you warm wherever your winter escapades take you. 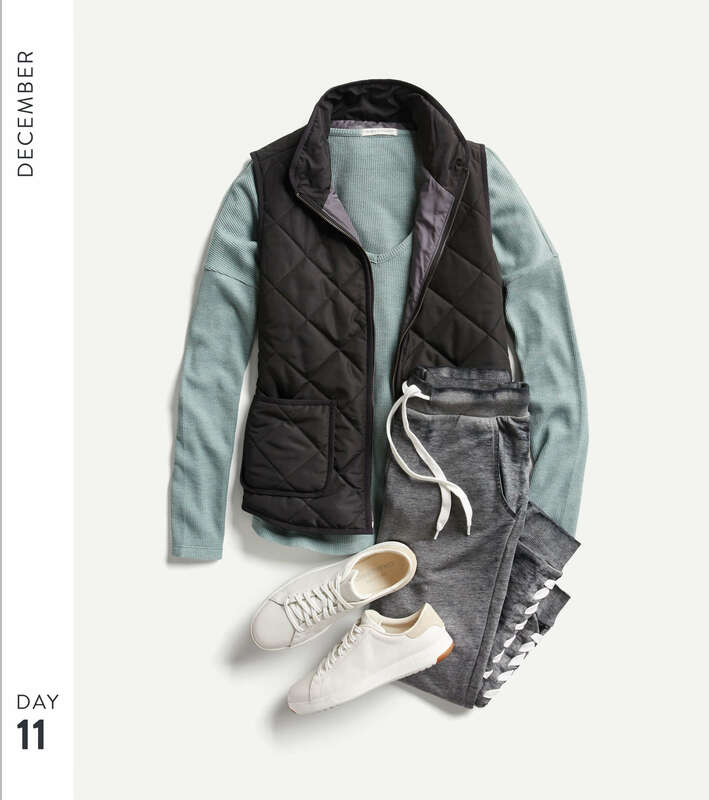 Our puffers play well with layers and are made to be packed and fit into almost any travel bag. Can you say new travel bestie? !